Yet God’s people have also recognized that we must always look to Scripture to guide us in understanding why we sing in worship and what this singing should be like. The question of innovation in Christian worship has rarely involved easy answers or outcomes devoid of conflict. 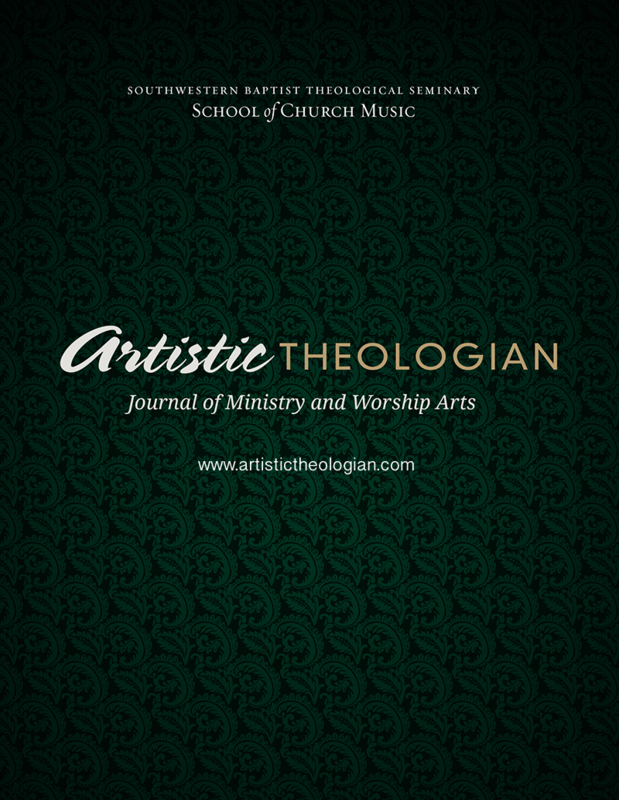 Situations become even more theologically charged, liturgically complicated, and pastorally sensitive with matters related to innovations in the arts in worship. The introduction of new media of art into corporate worship, or new uses of existing media of art, or new contexts for the practice of familiar media of art—all such occasions for innovation demand careful treatment. Holy Scripture has inevitably been sum-moned to argue one case against another. In some cases, a particular text has served as a privileged departure point. In other cases, a theological presupposition about faithful worship has suggested the right way forward. The language of “new song” in the psalms has not infrequently been enlisted to advance particular arguments about art in corporate worship. Most commonly, especially within contemporary worship contexts, it has involved the justification of new works of music. But should this be? Benjamin Keach, London Particular Baptist pastor at the church of Horsley-down, was zealous for pure worship, worship that reenacts both the prescribed elements and forms found in Scripture. This desire led him to defend strongly the singing of psalms, hymns, and spiritual songs in the corporate worship service. On his church’s singing, Keach states that “if our people (I mean, the church to whom I belong) are one of the first churches of our persuasion in this sacred ordinance [song], I am satisfied it will be to their great honor, (and not to their reproach) and that not only in succeeding ages, but also in the day of Jesus Christ.” Keach’s arguments influenced the implementing of congregational song into Baptist churches, and his legacy is seen today in the common practice of the ordinance of singing praises among Baptists. The history of Christian song is replete with landmark publications that signaled the beginning of a new era or a new direction in the church’s music. One thinks, for instance, of the issuing of the first Lutheran hymnals in 1524, the complete Genevan and English psalters in 1562, the Bay Psalm Book in 1640, Hymns Ancient and Modern in 1861, the English Hymnal of 1906, and—for Baptists—the Broadman Hymnal in 1940. Each of these books marked a new beginning and/or a culmination of a particular stream of Christian song. Each became widely used and set a pattern for the next generation or two—and sometimes for many generations to follow. One such publication was Isaac Watts’s The Psalms of David Imitated in the Language of the New Testament, first published 300 years ago this year. Both language and music are highly ordered systems of communicative expression. Even so, language is by no means merely a structure for encoding, transmitting, and decoding information, and music is much more than a framework for the inscribing, performing, and hearing of sound and rhythm. Through acts of seemingly unbounded artistic creativity, language and music separately stimulate flights of human imagination as few other influences can. Then when combined together in song, language and music uniquely plumb the depths of the soul. It is little wonder that Scripture repeatedly urges God’s people to “Sing to the LORD a new song” (Ps 96:1–2, 98:1, 149:1; Isa 42:10). Under the surface of almost every formal treatment of song-writing—sacred or secular—lies an unstated assumption: the language of the finished work will be the composer’s own. That is to say, the composer uses his or her first language (L1) to write lyrics. This basic L1 orientation holds for music translation studies as well, which address translation from a second language (L2) to the translator-composer’s L1. In sharp contrast, L2 songwriting—the composition of original L2 songs independent of any L1 edition—is a nearly uncontemplated phenomenon. The School of Church Music at Southwestern Baptist Theological Seminary has a rich heritage of musical training, rigorous theological instruction, and the use of a broad range of methodologies. From its infancy as a small department within the School of Theology to its present state as a full-fledged music school offering undergraduate, graduate, and doctoral degrees, the School of Church Music has sought to consistently review and adapt its curricula to the changing state of affairs in its primary constituencies—the local churches of the Southern Baptist Convention. Throughout its history, a common commitment to biblical fidelity, musical excellence, and pastoral development has coursed through the School, enlivening the classrooms, studios, and venues of worship. This article will focus on the Master of Arts in Worship (MAW) degree program and will demonstrate the ways it reflects Southwestern’s commitment to offering biblically rich theological training conjoined with practical ministry skill development. The MAW has served as a flexible vessel throughout its seventeen-year existence, undergoing several revisions since its initial proposal in 2002. Throughout the course of this examination, I will interject the stories of graduates of this program to show how it has positively shaped their ministries and their understanding of the Scriptures.